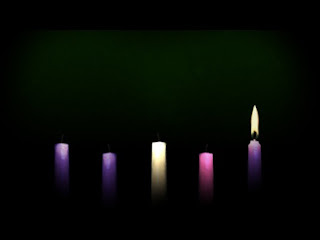 I hope you have had a blessed start to the Advent season this week. I also hope you enjoyed during the year the Friday "Unpublished" series where I shared on Fridays scraps and bits of material I left unpublished over the years. Starting in January I'll be starting up a new thing on Fridays. More about that after the New Year. Between now and then, during the weeks of Advent, I'll be using Fridays to post previously published material related to Advent and Christmas. Many of these have been popular posts so I wanted new readers to see them but I also didn't want to fill the week up with older material. So I'll have those posts come out on Fridays starting tomorrow.